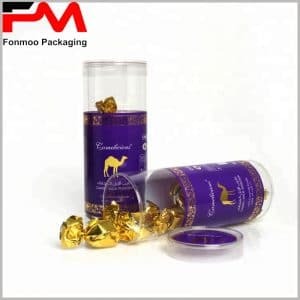 For drying goods or snacks, a transparent tube packaging box is a good choice to balance between the attractions created by the product itself, the sanitary safety and the economy of cost. Here is a common food level transparent tube packaging box made by food level plastic, with lid to seal the goods from oxygen and bacteria. The clear body allows customers to see directly the foods inside, judge their quality and get attracted. 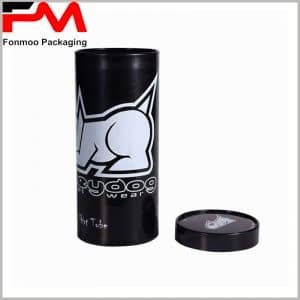 There is no printing applied to this tube packaging box as to economize the cost, however, it is very simple to put labels on it, as to deliver personalized information. This package is a good ready-to-be-sale style, and can be recycled for daily use. 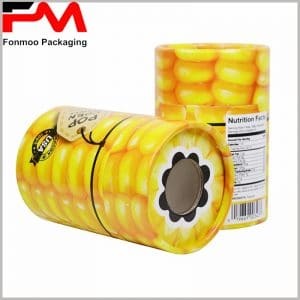 If you are looking for mass producer of tube packaging box, then we are here to offer our service. Working in tube packaging box for years, we have fully experience for such packaging solution. Just tell us your demands and let us bring you the needed clear plastic food tube packaging box.